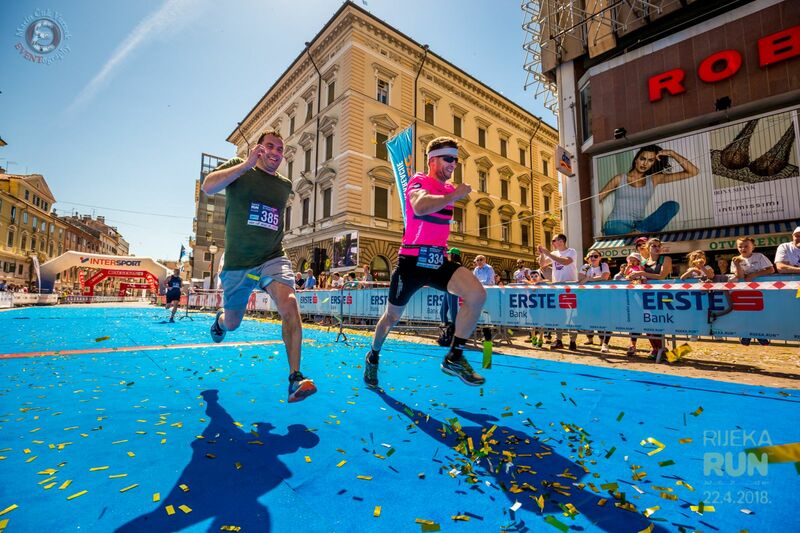 Rijeka means ‘river’ in Croatian, and you should definitely join a river of runners at “Homo si teć” (Let’s run everybody) festival of running and recreation in Rijeka. 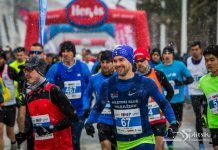 The festival started as a street race more than 20 years ago and now became the biggest of its kind with more than 17 000 citizens, children, students, professional and amateur athletes participating. 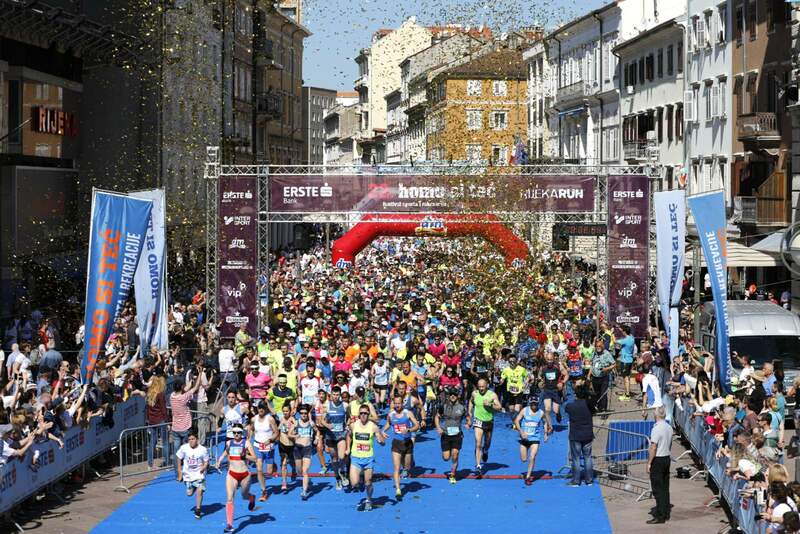 During the festival, the littoral city of ►Rijeka is transformed into a big playground for unique sports, and recreational entertainment program and the whole city becomes free of cars and traffic for three weekends in a row, completely put at the disposal of runners. 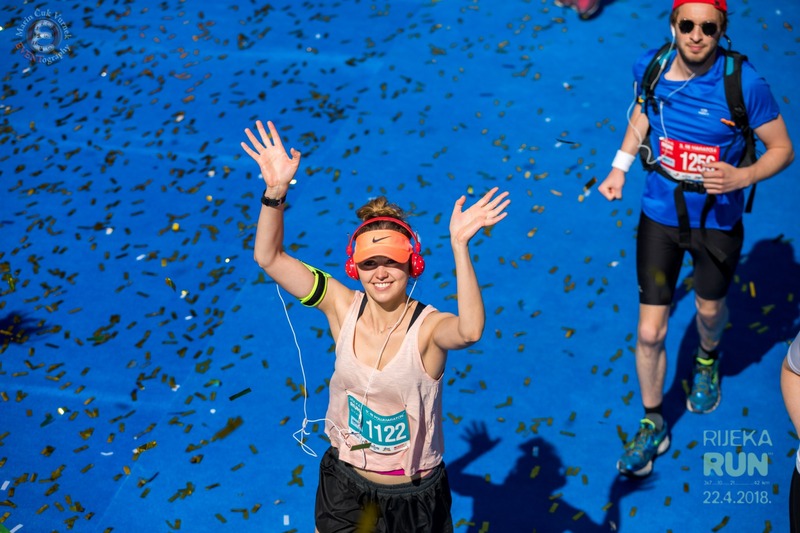 About one-third of all runners at the festival are foreign runners. There are seven races that you can choose. You can even run more than one since some aren’t on the same day. 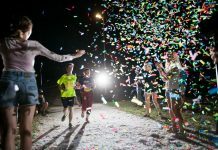 Beside seven races for grown-ups, there is also a kids race for the youngest (and a gift for every little runner who finishes the race). 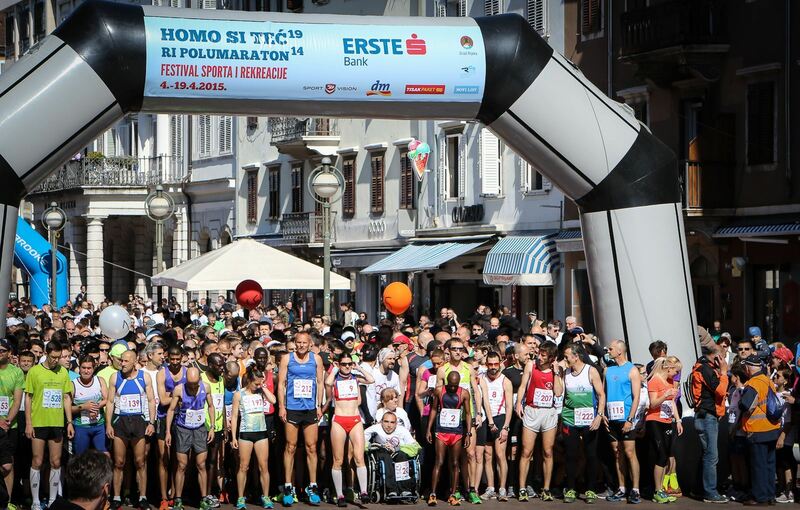 Marathon starts and finishes at main promenade called ►Korzo. The route goes from there to the beautiful small city of ►Opatija and back. There are refreshment points along the route. 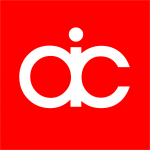 Organizers usually provide a place to change. You can see the map of all main runners’ points here. The half marathon goes half the marathon route. Marathon and half marathon course are awarded with five-star quality road race certificate. If you’re a team player and wish to test yourself at the half marathon race course, a relay race is your thing! 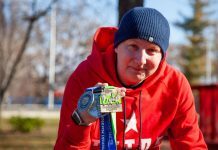 Find two friends and run as a team on the half marathon course. Each of you will have a 7 km run. Your relay team can be male, female or mixed. On the same day as a marathon and half marathon, there is a 10 K race. This 10 K long beauty is designed for all runners who want to test their speed, or perhaps merely enjoy running along all the other athletes in the city center. And the sweetest of them all, the non-competitive 1.8 K run for everybody. No entrance fee, no sign-up – just show up and run. This event gathers more than 10 000 people every year! 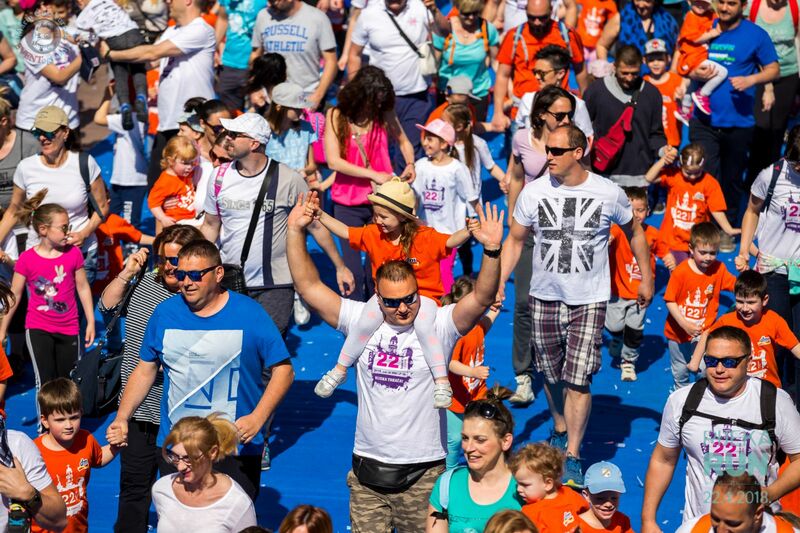 Also, as a kind of gratitude to the recently deceased Milka Milinković, a top athlete and a lover of “Homo si teć”, there is a race for disabled and vision impaired people called “Milka Milinković Memorial Run”. Milka Milinković was a Paralympic legend from Croatia and the only person in the world who had been participating at Paralympic Games for ten times. All races of the above are being held on the same day – a Sunday in mid-April. There are two more races with an earlier date. 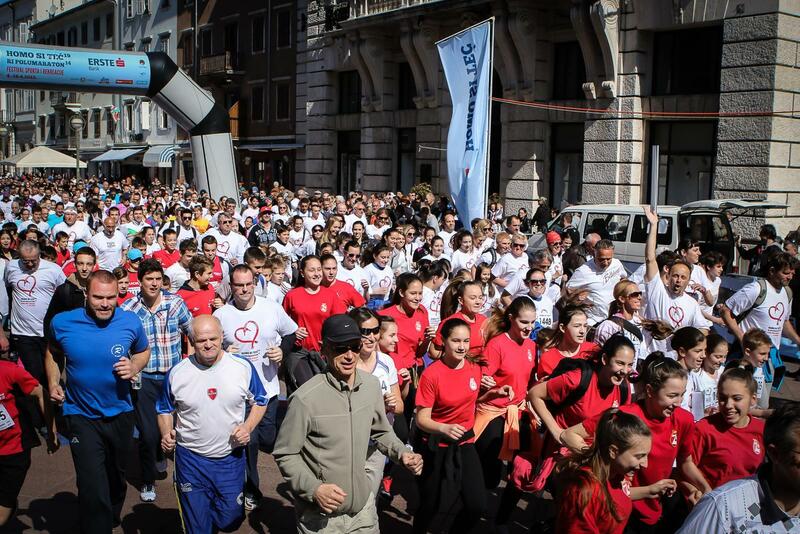 ►Molo Longo is a race on the long pier at the port of Rijeka. The pier is 1.7 K long, and the course of the race goes from the beginning of the pier to its end two times, which adds up to approximately six kilometers. This race is being held one week before the marathon and half marathon. 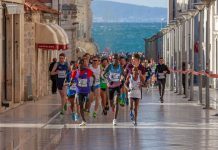 Two weeks earlier (sometimes it’s the first weekend in April and occasionally last weekend in March) there is 539 Jump race – a stair-climbing race on the centuries-old ►Trsat Stairways. This race has a chronometric start and is one the most challenging endurance tests one can afford to try. The goal is simple, just try to run (or jump) as fast as you can up the 539 stairs to the top plateau. The bib pick-up is organized the day before the race and in the race morning at Gat Karoline Riječke. At the same place is marathon EXPO on Saturday and Sunday with a rich offer of sports equipment and discounts, expert counseling and foot scanning. If you’re coming to Rijeka on the marathon day, you should come early enough because the roads are closing at 8:30 in the morning. Parking spots are available, and here you can look for more info. Beside car, you can come to Rijeka with bus, train, and plane. Bus and train stations are places in the city center, and the airport is on the island of Krk but has a bus that drives you to the city. Rijeka is well connected to Italy, Slovenia and the rest of Croatia due to its good geographic position and historical significance as the main Croatian seaport. Accommodation offer is big – everything from campsites to luxurious hotels. Once you settle in your place, getting around the city is possible in a few ways – public transportation, rental bikes, taxies and, of course, on foot. Public transportation includes the city (1st zone) and suburban (2nd, 3rd, and 4th zone) bus lines. Buses operate from 5 am to 11.30 pm, approximately every 15 minutes. There is much to see in this charming city – we will give you only a brief overview to wake up your interests. Korzo is the place where people gather and move apart, where they hang out, drink coffee, do business, go shopping. Whenever you come to Korzo, smells will delight you – those of the morning coffee, delicious pizza or seafood coming from some of the numerous restaurants located there. Korzo is the reflection of the city, with its monuments, architecture, culture, and atmosphere. Completely different from Korzo there is the lonely Trsat Castle on the top of the hill above the city, one of the oldest fortifications on the Croatian coast which preserves the features of the early medieval town construction. Today the Trsat Castle has been enriched by new facilities and events – visual arts gallery, open-air summer concerts, and theatre performances as well as fashion shows and literary evenings. And of course, when talking about a coastal city, we have to mention its queens – beaches. Thanks to the Mediterranean climate, the swimming season in Rijeka begins in spring and lasts until late autumn. The sea is clean and blue, the sun is nice, and the beaches are numerous, diverse, large and noisy, small and secluded, pebbly, concrete, rocky, hidden… Perfect for the quick refreshment after the race! You want to run for fun? These races are for you!